Nic and I have tomorrow off work to go to Harry Potter World! SO excited. So along with the excellent feeling of having a long weekend, I’m also basking in the fact my health is on the up! 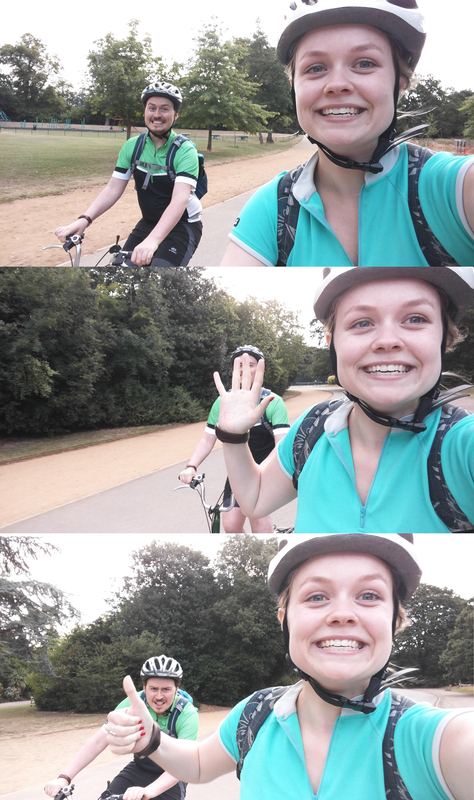 I’m still wheezing away, but I cycled to work again, and managed a longer detoured 13 mile cycle home with Nic. Here’s a photo of us in Dulwich Park, along with a couple out takes. Happy Thursday! 24/07/15 – Harry Potter World! I like the bottom one!